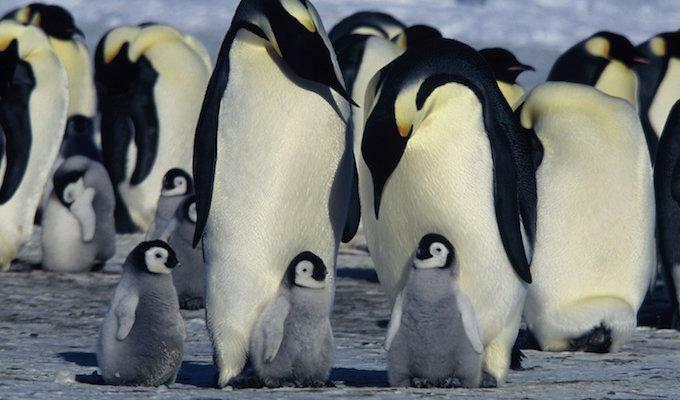 Each autumn, the emperor penguins of Antarctica travel hundreds of miles from the sea to their inland mating grounds, subjected to one of the harshest climates on the planet. French director Luc Jacquet shot these regal creatures for over 13 months to capture one annual cycle. Winner of the Best Documentary Oscar in 2005, March of the Penguins “tracks a deadly dance of life at the edge of the world, with exquisite footage of a beautiful, forbidding locale that most of us will never visit. An accessible score and Morgan Freeman’s avuncular narration make this march family-friendly, too. Birth, death, romance, danger: All play a role in Jacquet’s homage to a remarkably endearing creature.” – Damon Smith, Time Out New York.